In the wake of the New York grand jury’s decision not to indict Officer Daniel Pantaleo in the choking death of Eric Garner, the hardworking staff noted similar treatment by two editorial cartoonists. We figured there must others along the same line, but we didn’t find any. We did, however, come across this Poynter piece in which Benjamin Mullin talked with the two cartoonists. “…I think that, for certain galvanizing events, cartoonists seek out a simple, distilling image or phrase. 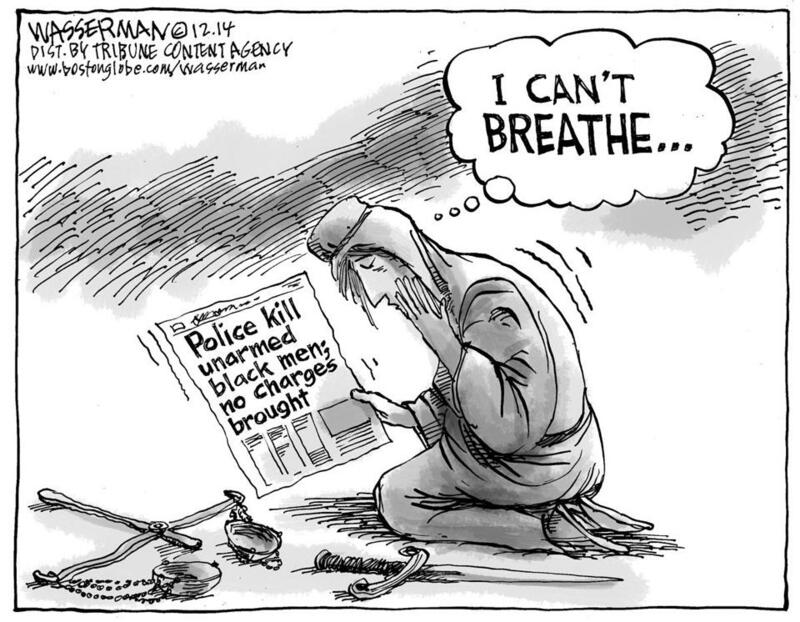 Here you have a sense of great injustice together with the agonizing plea by Garner (“I can’t breathe.”) No big surprise that several cartoonists melded those elements in similar ways. 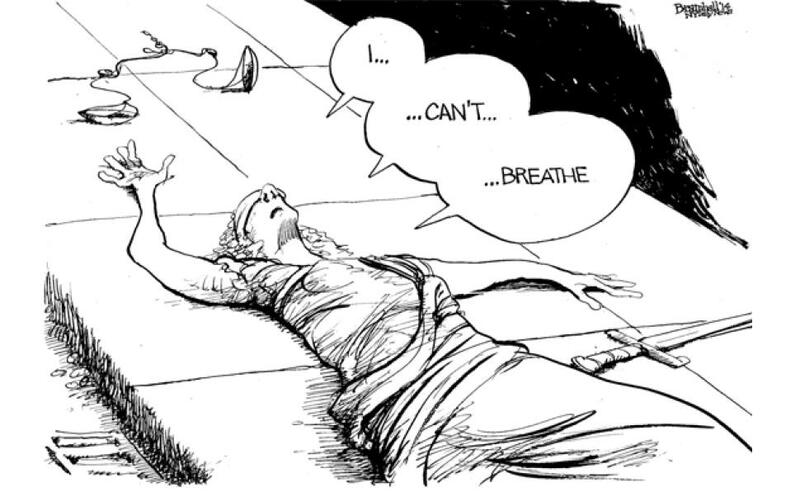 “In the Garner case, it’s a no brainer to link his last words with another icon, an expiring lady justice. My guess is that by the end of today even more editorial cartoonists will have done a similar one. This entry was posted in Uncategorized and tagged Benjamin Mullin, Bill Bramhall, Boston Globe, chokehold, Dan Wasserman, Daniel Pantaleo, Eric Garner, Mike Allen, New York, New York Daily News, NYPD, Politico Playbook, Poynter. Bookmark the permalink.